Lets Go Surfing is proud to announce we have achieved Ecotourism Certification for our Surf and SUP schools with Ecotourism Australia. We strive to achieve our environmental goals by making positive changes in our daily operations. This includes, but is not limited to; plastic bag free, using environmentally-friendly wetsuit washing products, working with third party suppliers to minimize plastic usage, receiving surfboards and wetsuits in biodegradable packaging, choosing lower emission vehicles, limiting water usage, recycling in all of our locations, providing all our team with reusable water bottles and coffee cups and organising environmental talks with student groups. 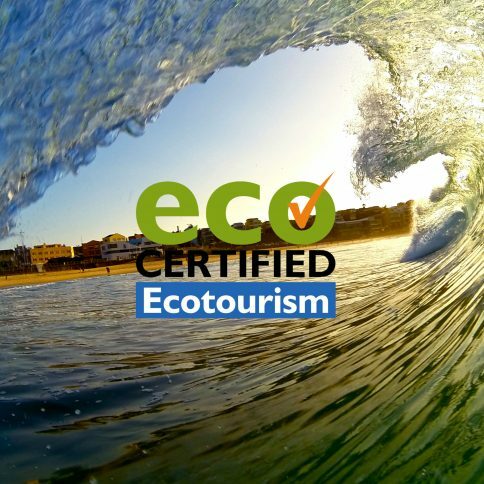 Lets Go Surfing is very proud of being Ecotourism Certified with Eco Tourism Australia, embracing the opportunity to educate people from all over the world about our ecosystem and its importance. We look forward to continue to share Australia’s natural beauty and beach culture while only leaving footprints.